Vavkuk is a fluid world with oceans of a liquid other than water such as ammonia, methane, or hydrocarbons, or other exotic liquids. 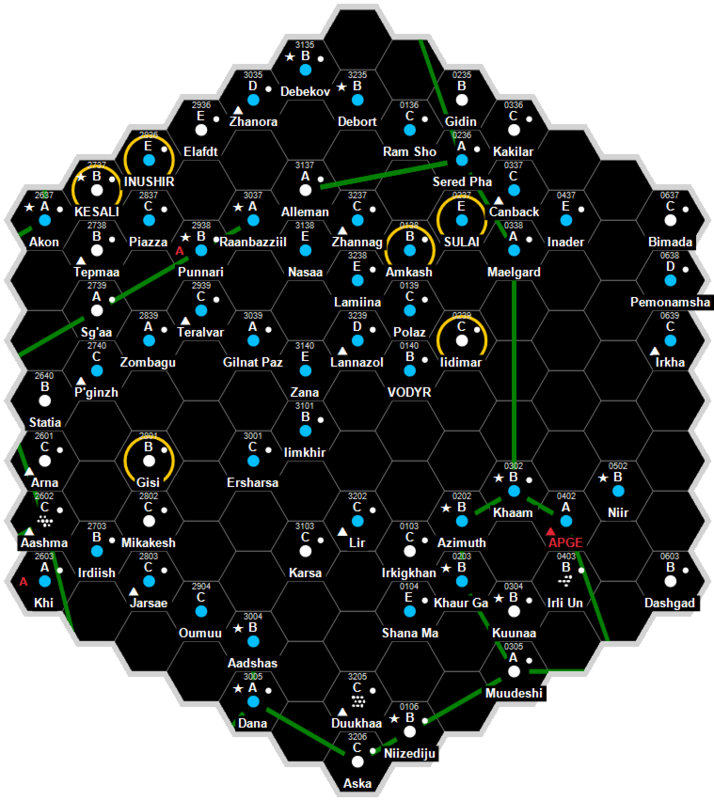 It a client state of the Third Imperium in the Mukusi Subsector of Antares Sector. Vavkuk has a poor quality starport. Vavkuk possesses a Technology Level of TL–8. Vavkuk has a Self-Perpetuating Oligarchy government.